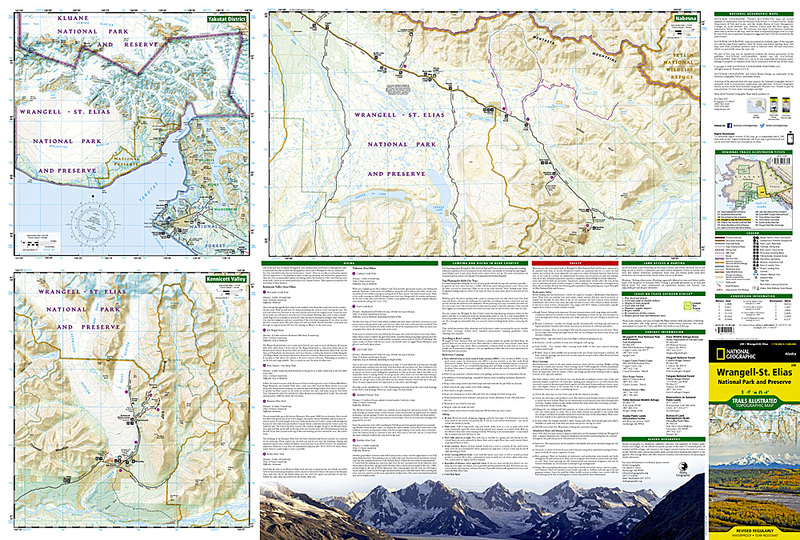 Wrangell-St. Elias National Park and Preserve [ti249] - $10.95 : Trail Explorers Outpost, Keeping the Adventure Alive! 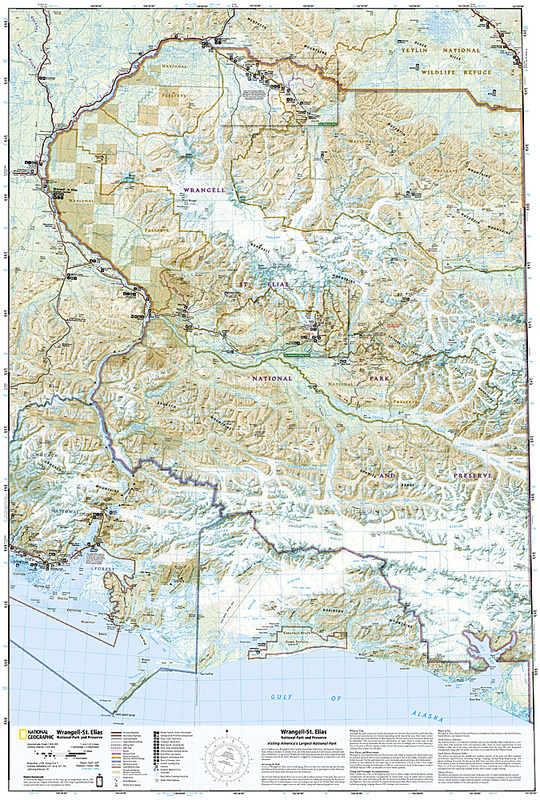 Other features found on this map include: Allen Glacier, Bagley Ice Valley, Barnard Glacier, Bering Glacier, Bering Lake, Bremner Glacier, Bremner River, Cape Saint Elias, Cape Suckling, Chisana Glacier, Chistochina River, Chitina Glacier, Chitina River, Chugach Mountains, Chugach National Forest, Columbus Glacier, Copper Lake, Copper River, Dadina River, Gakona River, Granite Range, Gulkana River, Guyot Glacier, Hanagita Peak, Hawkins Glacier, Heney Glacier, Hubbard Glacier, Icy Bay, Jatahmund Lake, Jefferies Glacier, Kaliakh River, Kanak Island, Kayak Island, Kennicott Glacier, Klutina River, Klutlan Glacier, Logan Glacier, Long Glacier, Lucia Glacier, Malaspina Glacier, Martin River, Martin River Glacier, Mentasta Mountains, Miles Glacier, Miles Lake, Mount Augusta, Mount Bear, Mount Blackburn, Mount Bona, Mount Churchill, Mount Drum, Mount Jarvis, Mount Sanford, Mount Wrangell, Nabesna Glacier, Nizina River, Nutzotin Mountains, Ocean Cape, Oily Lake, Point Manby, Point Riou, Regal Glacier, Robinson Mountains, Root Glacier, Russell Fjord, Russell Fjord Wilderness, Russell Glacier, Saint Elias Mountains, Schwan Glacier, Seward Glacier, Sheridan Glacier, Steller Glacier, Tana Glacier, Tana River, Tanada Lake, Tazlina River, Tebay Lakes, Tiekel River, Tongass National Forest, Tonsina Lake, Tonsina River, Tyndall Glacier, Walsh Glacier, Wernicke Glacier, Wingham Island, Woodworth Glacier, Wrangell Mountains, Wrangell-St. Elias National Park, Wrangell-St. Elias National Preserve, Yahtse Glacier, Yakutat Bay. Flat Size 13.75" x 9.25"